aubreymichelle – Let's Get Conscious! This month, I finally got around to watching The True Cost, a documentary about the impact that fashion has on people and the planet. Since then, I’ve been thinking a lot about where the discrepancy lies in the way we buy and how we believe the stuff we own should be made. I doubt anyone reading this believes that it is okay for people to work 20 hour days to create the shirt you are wearing, to have to send their child away because they cannot afford to take care of them on a factory worker’s salary, to work in a factory with “suicide nets”, or for 170 million children to be engaged in child labour to create our products. Then why do we buy things that perpetuate these practices? I’ve come down to two answers, one- we simply don’t know what to buy, and two- marketing, we believe a shirt is truly worth $15. One of the most powerful phrases someone told me recently, is “Your dollar is your endorsement”. No one can be perfect in their buying practices but I ask you to be mindful about your choices. You have the ability to make a huge impact positively or negatively with every purchase. Don’t be discouraged though! The exciting thing is, as consumers become more aware, significantly more companies are popping up with amazing standards for their workers and the world we live in. In a coffee frenzy, running late to meet a friend, I grabbed a Chameleon Coffee on a whim at my local grocery store. Cold-brew and organic was enough to make me give it a shot and man am I glad I did. As a New Yorker, I’ll admit, I’m a bit of a coffee snob. I tried the Espresso and it was one of the best I have ever had. When I got home I did a bit of research and it turns out that the company is dedicated to high standards for their workers, the environment, and the coffee. 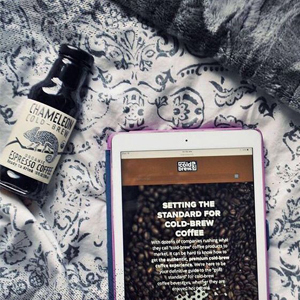 Starting at the farm, Chameleon pays at least double what non-fair trade company’s pay, during the process they convert 50% of the water they use into renewal natural gas, and in production, they work only in small batch in order to ensure quality. A little indulgence never hurt anyone, right? In fact, in the case of One Hope Wine, you can help someone in need or help the environment! 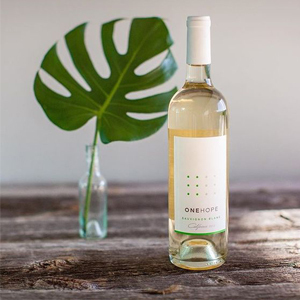 Amazon’s top selling wine, One Hope is built on great wine and donating a portion of the profits to different causes. For example, for every two bottles of this sauvignon blanc sold, 1 tree is planted in reforestation projects. 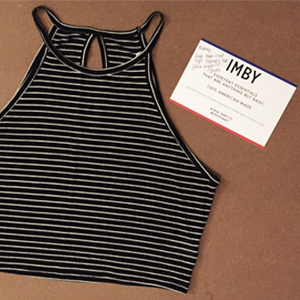 I recently purchased this crop top from IMBY to be summer ready and sustainably fashionable! The package came with a handwritten note saying thank you for the support. Nothing feels better than supporting a company that’s ethically made in the US and the workers are thankful you shopped with them. The company’s values are built on curating locally made clothing that is timeless. IMBY believes in consumers making smarter choices, buying things that won’t go out of style so that we can wear them through many seasons to come. 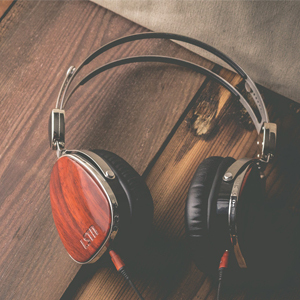 These handmade beauties are not only some of the sleekest headphones you will find in the market but they are made with purpose. The company has teamed up with Starkey Hearing Foundation in order to help provide hearing aids to those in need around the world. In the past three years, the company has been able to help 20,000 people! Though it would take me a lot more writing to fully explain everything that makes Prana an awesome company, here are the highlights: the clothing is made from sustainable materials, their workers all through the supply chain are treated fairly, the company gives back, and their processes are designed to improve the industry. As if that isn’t enough, the designs are created by makers who are out there climbing, doing yoga, and traveling, so they know exactly how to design for the adventure spirit in you. This post, I thought I’d share John Oliver’s hilarious breakdown of how ludicrous the supply chain is in fast fashion companies. Still can’t get enough? Your homework is to go to Netflix and watch two documentaries: The True Cost and Living On One Dollar.